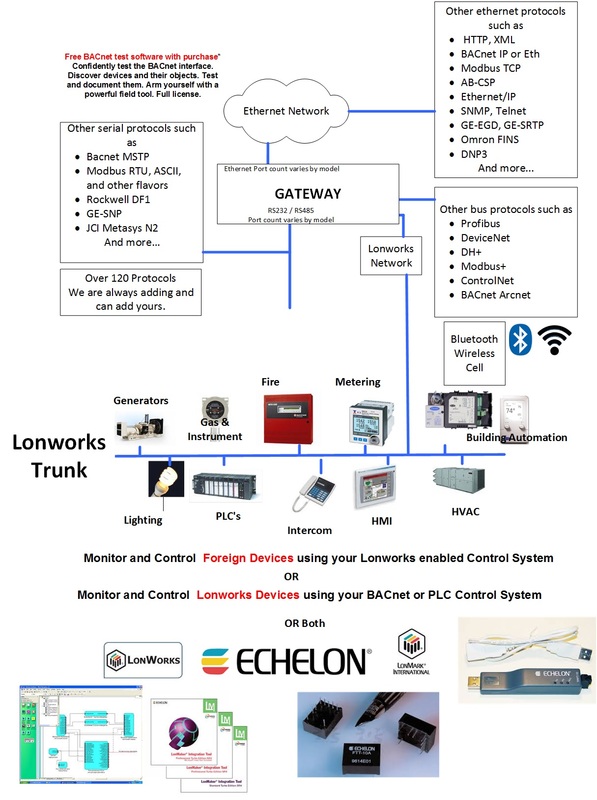 A FieldServer Multiport Gateway that converts data between Zellweger Infratox and LonWorks. 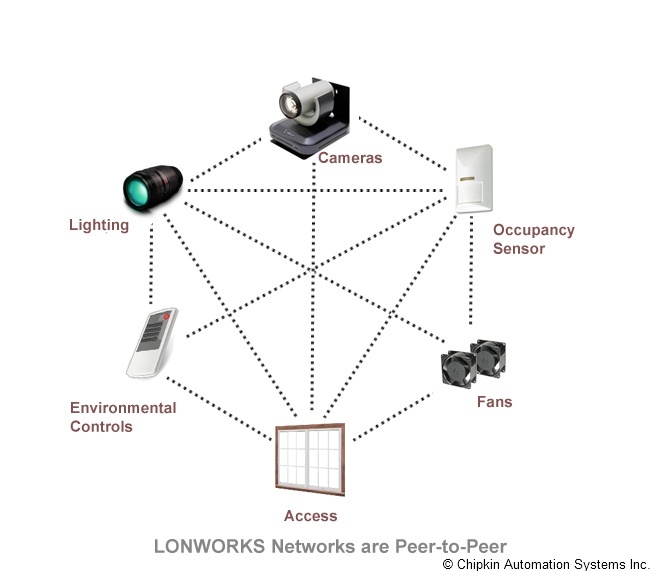 The Zellweger to LonWorks Gateway acts as a translator between the two protocols. The serial driver can emulate a Client or a Server. 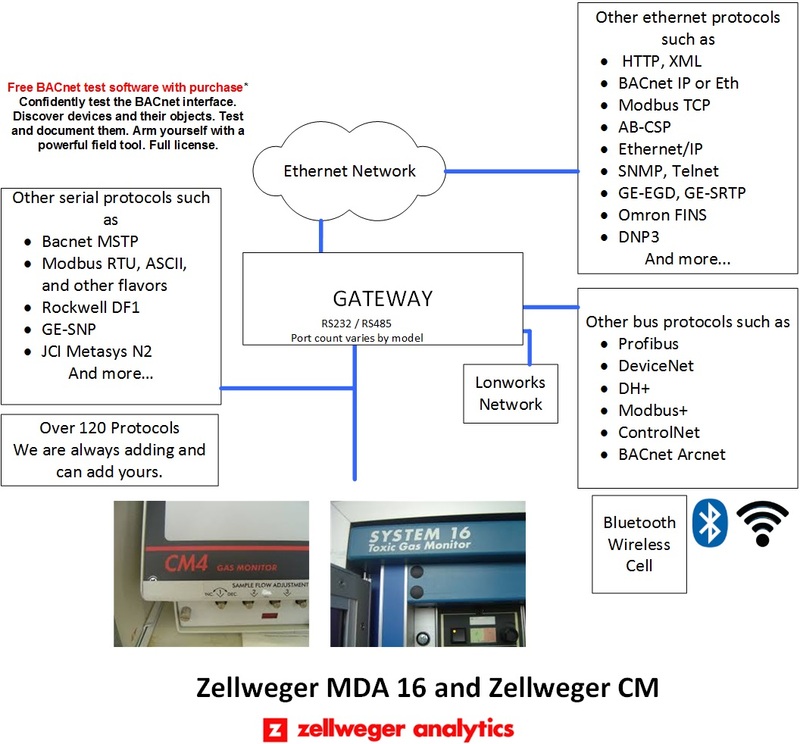 The FieldServer and Zellweger device are connected using a RS-485 network. The Honeywell Infrared Gas Monitor (Model IR-148) detects solvents and gases such as HCFCs, HFCs and PFCs. 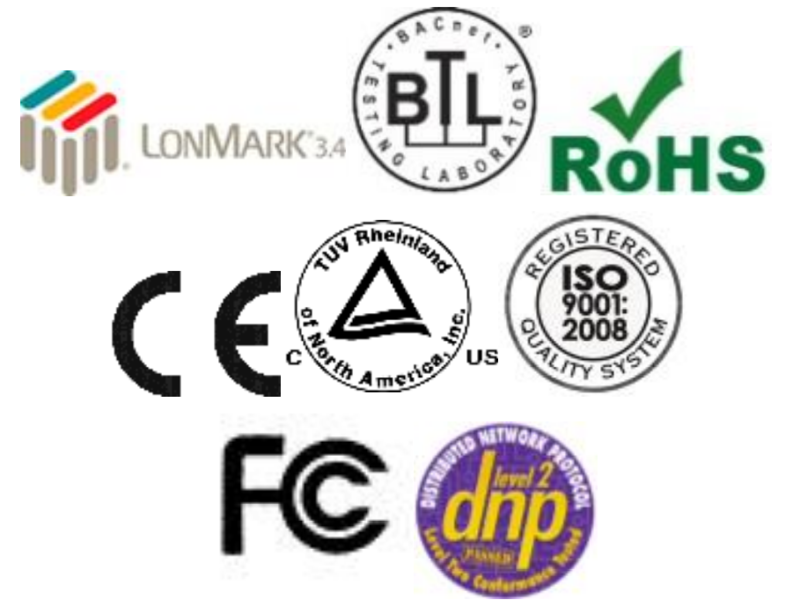 IR-148 can have 1, 4 or 8 sampling points.This InfraTox driver reports gas values, alarms and troubles for each point. The driver listens passively for messages from the IR-148 unit and stores data extracted from the messages. The driver cannot poll the IR-148 device for Data. The driver records some additional data age information (which is stored in the FieldServer’s Data Arrays) because messages do not always contain information about all sensors and depending on the IR-148 operational mode (such as Locked mode), may never contain information other than for one sensor.